How to Easily Stop BAD POOL HEADER Error in Window 10, 8, 7? Home Error Solutions How to Fix “Bad Pool Header” Error in Window 10, 8, 7? Well, a Bad Pool Header (a BSOD Error Code) issue is a mess with mostly window memory allocation. In most of the cases, window files get corrupt due to installing of some device drivers which are incompatible or files contains virus or malware. This issue mostly occurs in Windows 10 or sometimes in window 8 or window 7 in rare cases if the window is not installed properly with original drivers. 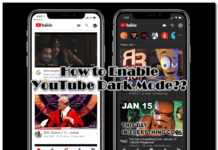 However, the Device driver is the main cause of such error but in a few cases, RAM or Hard drives problems could create an error for the memory pool. 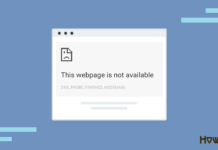 So you are the victim of this Error code and might be researching the ways to stop code Bad Pool Header. Well, you don’t have to worry at all since we have done the research for you and in this guide, you will be learning different causes and the methods to fix the BAD_POOL_HEADER Error in Windows 10, 8 and 7 Computers. 1.1 What is “Bad Pool Header” Error? 1.2 What are the Causes of this Error? 1.3 How Do I Fix This? What is “Bad Pool Header” Error? Bad Pool Header is an BSOD Error in which the PC doesn’t turn on or it keeps restarting while showing the problem. This is one of the Blue Screen of Death Errors with the Code BAD_POOL_HEADER. This problem is mostly because of faulty drivers but other reasons are also there which can lead to this problem. Sometimes while installing the window the drivers may not be properly installed and can cause this problem but in most cases, this problem occurs when one doesn’t install drivers from a legit website or store. In this error, the window starts or restarts or doesn’t turn on and shows the error as shows in the image below. What are the Causes of this Error? This is one of the most common causes of this error which is occurred by time and causes Read/Write error and sometimes RAM or hard drive may not work due to any unwanted particles collected on it. Well, sometimes it may happen that the device drivers that are installed may be corrupt or outdated. The drivers may be corrupt or faulty if they are downloaded from unverified sources. Another cause for this maybe Upgrade or Downgrade of Windows Operating System from newer to an older version. Sometimes many software can corrupt the window files or driver files or any other necessary drivers and hence may lead to this problem. These kinds of software can be either from unverified sources and may harm the computer. The error Bad Pool Header is an issue that can cause the blue screen of death (BSOD Bad Pool Header). It can be caused by applications or drivers that are corrupt or incompatible with your Windows computer. It is an Internal Kernal Error. This can also be due to outdated drivers or applications. There is a no particular cause for the occurrence of the Bad Pool Header error. Whatever the reason is we are here to solve your problem and make your PC work perfectly without any issues or without sending the Pc to repair center. Make sure you follow all the steps carefully. Here is solutions quick overview. Faulty device driver can be one of the main reasons for the Bad Pool Header and this can be solved by updating the device drivers. This can be done manually or automatically in one click. Follow the steps to update your Computer Device Driver in the correct manner and without any error. 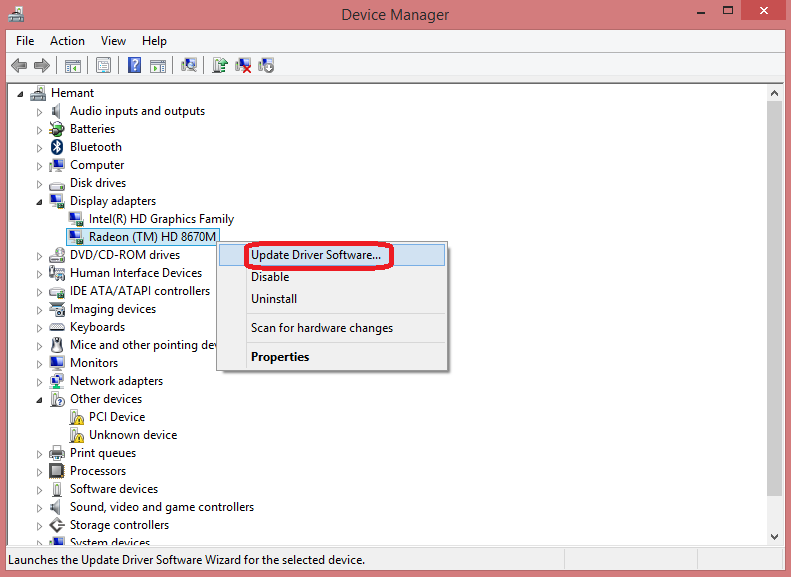 First of all, we will know how to update the device driver automatically using Driver Easy. This software when installed and runs will automatically check the faulty device driver in your Pc and ask for permission to download original drivers from the official store of the driver and the driver which are downloaded from this software are completely legit and safe to use. So let’s discuss how to download and install Driver Easy. Step – 1: First of all, Download and install Driver Easy Software. Step – 2: Now open the Driver Easy and click on Scan Now. 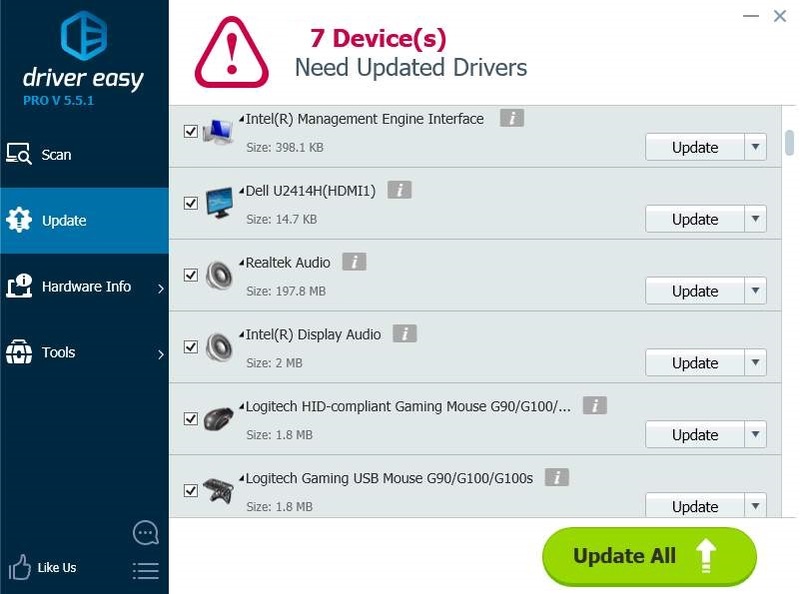 Driver easy will scan your computer and shows the result of Outdated or Faulty drivers in your PC. 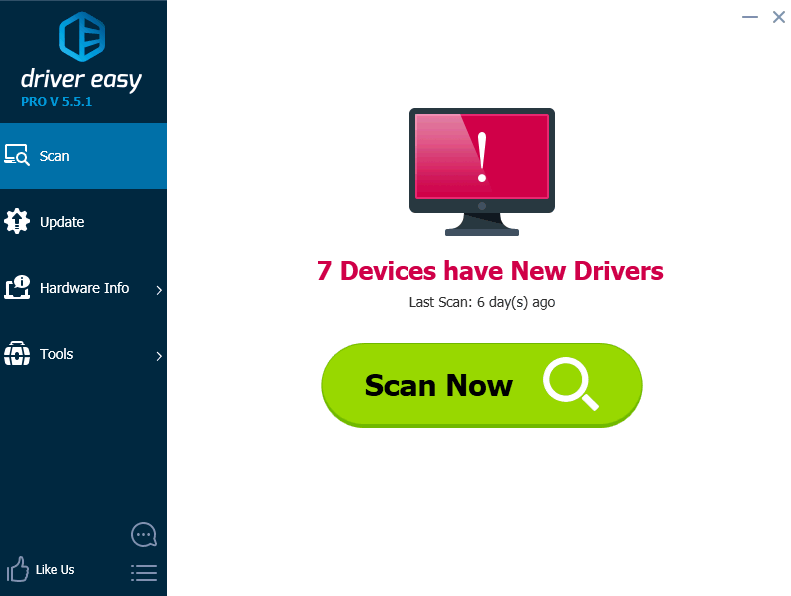 Step – 3: After scanning the app will show the required drivers to be updated. Step – 4: Now click on Update All Button and all the drivers will be updated. That’s it!! Your Drivers will be updated without any manual work or repeating the process. You can update your drivers automatically with either the free or the Pro version of Driver Easy but with the Pro version, it will be easy to update the drivers within a few clicks and without any much efforts. 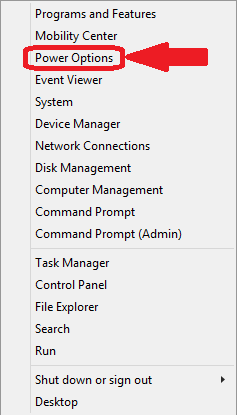 Step 1: Press Windows + X and Select Device Manager from the list. 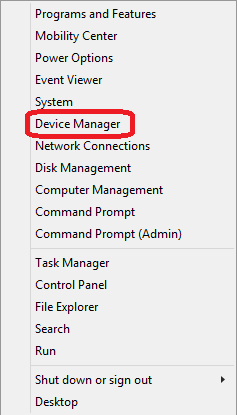 Step 2: The Device Manager Window will popup. Expand the category with the hardware that you want to update. Here we are going to update Display Adapters. 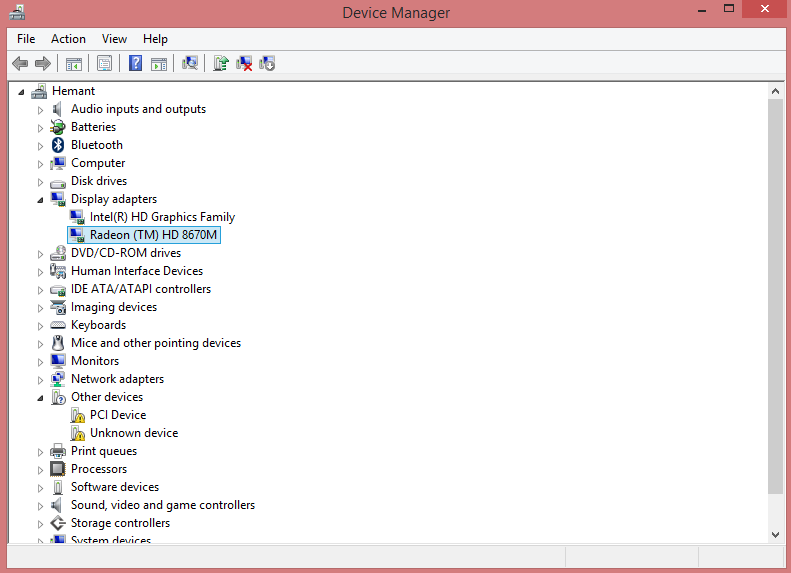 Step 3: Now Right click the device and select Update Driver Software…. 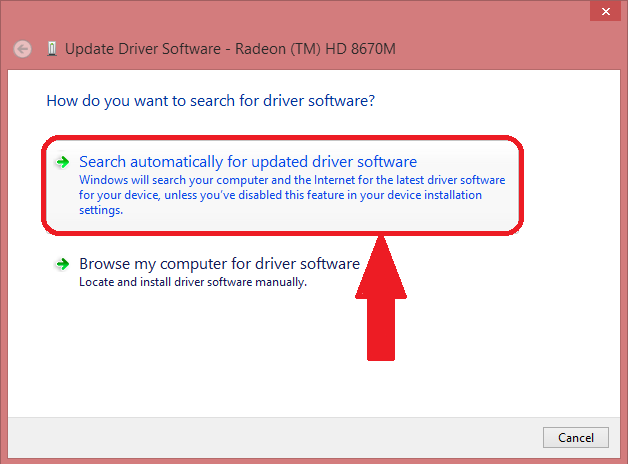 Step 4: After that Click the Search automatically for updated driver software. If any new version is available then that will be automatically downloaded and get installed. Once you update all the device driver just reboot your computer and check if the problem still occurs. The Bad Pool Header error can be because of some external Hardware attached in your computer / laptop. 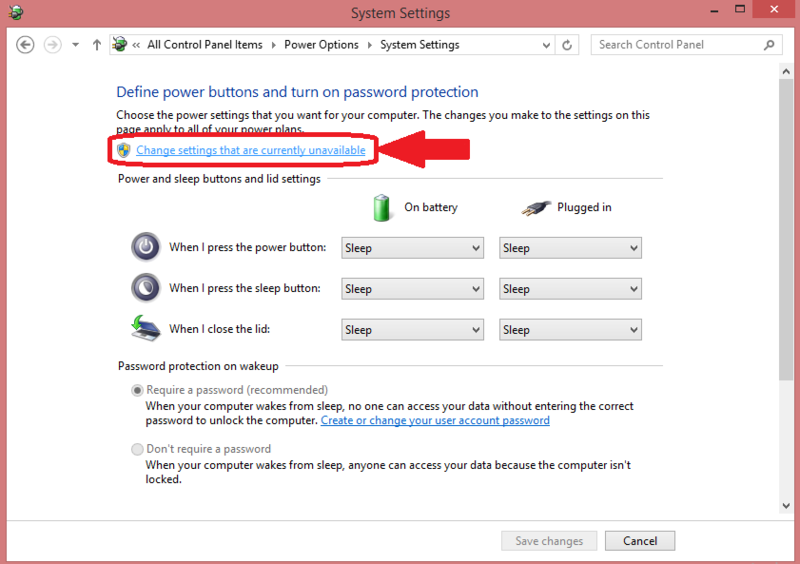 So if you are using any external hardware such as Mouse, Keyboard, Pendrive, Wireless Wifi Adapter or Bluetooth Adapter then just disconnect them all and then restart your Computer. After restarting use your PC for a few minutes. If you don’t get that error again then the problem must be with any of your external Hardware or the connecting ports. If you use multiple external hardware, plug them again to computer one by one and check from which Hardware the problem occurs and once you find it update that device drivers. 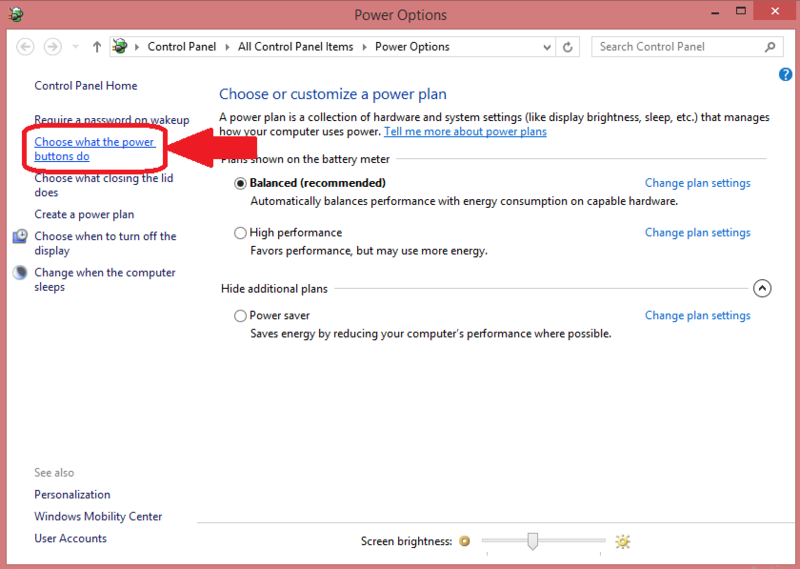 Step 1: Press Windows + X and Select Power Options. Step 2: Now click on Choose what the power button does option from the left sidebar. Step 3: Click on Change settings that are currently unavailable. Step 4: After that Uncheck the Turn on fast startup (recommended) and then click Save changes. That’s it!! 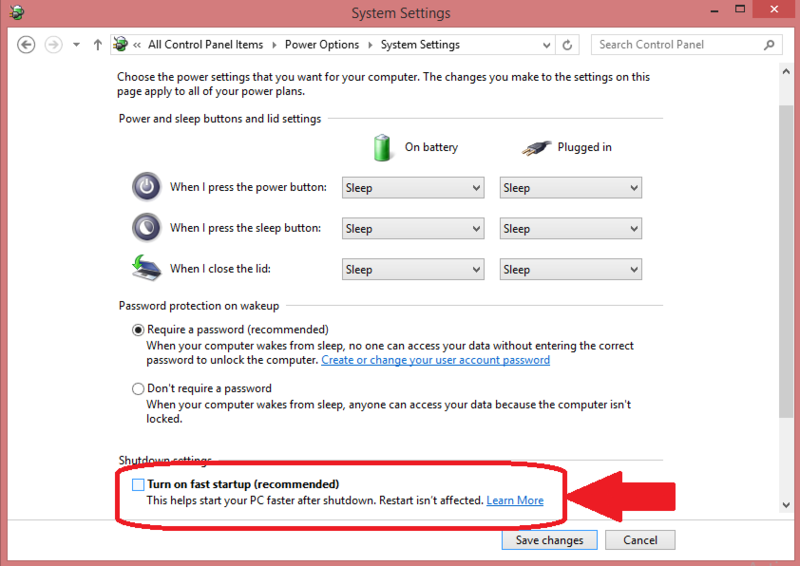 Now reboot your Computer which will turn on without fast startup and check whether the error occurs again or not. However, it is rare but it may happen that the memory chip (RAM) of your PC can be faulty. Memory chips are one of the most essential components to any computer, any problems or issues will immediately noticeable, strange and sometimes confusing ways. The issue with RAM can cause Window 10 to freeze for a few minutes, blue screen of death, PC restarts randomly or files becoming corrupt and many more things. To solve this issue, first of all, you need to check your RAM physically that any dust particle or any other unwanted substance is not collected on RAM. This will require you to open your CPU Cabinet (if you have PC) and remove your RAM. If you are using Laptop then we suggest you to take the laptop to any service center or local engineer for the check-up. Clean the RAM properly and the socket too and then reinstall the ram properly. If the error still occurs try to change the RAM and check whether its the error due to RAM. If your PC is working fine with new ram then your old ram is faulty. It may happen that everytime you update your driver or install new drivers or any application on your computer, the files get corrupt or faulty and this may cause Bad Pool Header error and make your computer to not work properly. 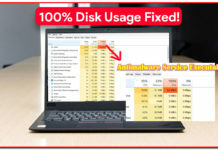 The reason behind this can be your Anti-virus or Anti-malware software which scans your computer and could not determine difference between right files or malicious files. So to check whether your Antivirus application is harming and causing the issue, you can temporary disable your Antivirus for few minutes or hours. If the PC starts to work properly after disabling it then there must be problem with Antivirus application. That’s it, Guys!! We have researched a lot and compiled these 5 solutions for the Bad Pool Header problem. All the solutions are 100% verified and are working. Just make sure you follow all the steps carefully and Reboot your computer after every solution so that necessary changes will take place. We conclude that it is very important to download drivers from official sources and always keep your windows up-to-date.